One of the most difficult things about the explosion of legal technology is that it is a full-time job just to know what’s out there and how to find solutions that work for you and your firm or legal department. It’s a never-ending loop of how do I find products, especially the new innovative products, will they work, and how do I go through the RFP process and get them working with the rest of our systems. To empower you to be a more knowledgeable, competent, and trusted counselor. 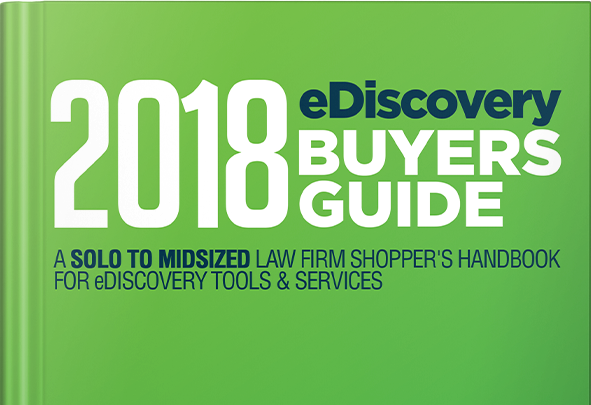 While you personally won’t use all of the products featured in this Guide, your clients might benefit from them in their own data collection efforts. Plus having some knowledge about other products means you can talk intelligently with opposing counsel on the products they use so you don’t look ignorant or uninformed. Logikcull: Das Ende von eDiscovery?